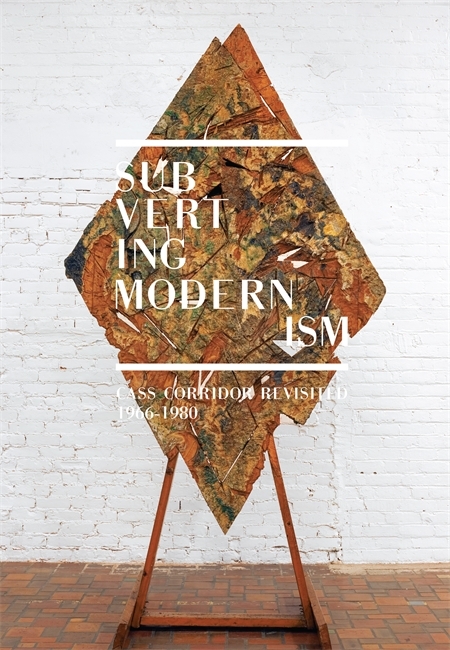 Subverting Modernism: Cass Corridor Revisited 1966-1980 is an exhibition catalog created to accompany a show of the same title to be held at Eastern Michigan University in the spring of 2013. In decline since the 1950s, the Cass Corridor, an area near Wayne State University in Detroit, witnessed an intense efflorescence of artistic activity in the late 1960s and the 1970s. Conventional wisdom has held that these Cass Corridor artists, as they have come to be called, were essentially "urban expressionists," responding to the decline of post-industrial Detroit, a thesis most thoroughly set forth in Kick Out the Jams, a 1980 exhibition at the Detroit Institute of Art. Subverting Modernism, a much-needed scholarly reappraisal of this art movement, debunks this notion, positing instead that each Cass Corridor artist created his or her own individual styles and meanings cross-fertilized at times by his/her fellows. What does unify these artists is their reference to, but rejection of, the tenets of Modernism, which held sway, but were increasingly under attack, in New York art circles in the 1960s and early 1970s. Thus the book places the work of these Detroiters in the context of the movement from Modernism to Post-Modernism that took place in American art generally in the 1970s. Within the paradigm of subverting Modernism, certain common themes do, however, emerge. Therefore, the exhibition and catalogue are divided into the following interrelated sections: "The Critique of Pure Painting and Sculpture," "Minimalism/Industry," "Complexity," "Violence, Destruction, Decay . . . and Renewal," "Vulnerability," "Shelter," "Music/Dance/Industry," and "Nature/Geometry." Subverting Modernism represents a multi-year collaboration between Eastern Michigan University and the Wayne State University Art Collection, which, unfortunately, does not have its own exhibition space. Thus the exhibition and catalogue will allow art lovers to see important Detroit art that is not usually accessible. Author Julia R. Myers's extensive research, which included interviewing the artists, consulting hundreds of newspaper articles from the late 1960s and 1970s, and using archival materials in both Washington, D.C. and Detroit, make for a thoroughly new look at the exciting work of these important Detroit artists. Julia R. Myers is a professor of art history at Eastern Michigan University. She is also the author of Completing the Circle: The Art of Ruth Weisberg (Art Gallery Program, Eastern Michigan University, 2007) and Energy: Charles McGee at Eighty-Five (Art Gallery Program, Eastern Michigan University, 2009, distributed by Wayne State University Press). While convention has held that Cass Corridor artists were essentially "urban expressionists" responding to the decline of post-industrial Detroit, Subverting Modernism re-evaluates the art movement, arguing that each Cass Corridor artist created his or her own individual style and meaning.